Deal manager Derek Hares was entitled to draw considerable encouragement from his side’s performance despite seeing Beckenham grab a late equaliser at the Charles Ground on Saturday. After conceding 10 goals in their two previous games, the Hoops responded with a determined team display which prompted Hares to say: “The commitment from every player in the side was excellent today and if we keep playing like that we will soon turn the corner. 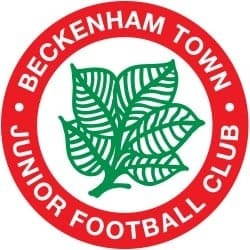 In contrast to some of their recent displays Deal were sharp and aggressive right from the start against a Beckenham side who had lost their previous four league games, and all the early danger was around the visitors’ goal. But, with last season’s leading scorer Connor Coyne going through a barren spell, turning that pressure into goals remains a problem for the Hoops and instead it was Beckenham who unexpectedly struck first when Jamie Humphris’s low 24th-minute cross was fired home, with the help of a deflection, by Marvin Olobiuso. With Joe Reeves and Jack Paxman producing some neat combinations down the right flank Deal continued to create openings but Beckenham managed to hold on to their slender lead until half-time. Deal then suffered more frustration three minutes after the restart when Coyne’s left-foot volley cannoned off the crossbar while Joe Anderson headed straight at the keeper from close range. But the Hoops finally broke through goal on the hour mark after Beckenham had conceded several fouls in quick succession, and Steve O’Brien finally made them pay by curling home his 20-yard free kick. Then, three minutes later, another free-kick by the midfielder led to Deal going in front. O’Brien’s delivery beyond the far post was turned back in by Reeves and Dean Hill did the rest from almost on the Becks’ goalline. With Lee Scott leading the way with a terrific performance in midfield, the Hoops’ first win in seven matches looked on the cards but those hopes were dashed three minutes from time when Frank Warren’s shot found the net via another deflection.